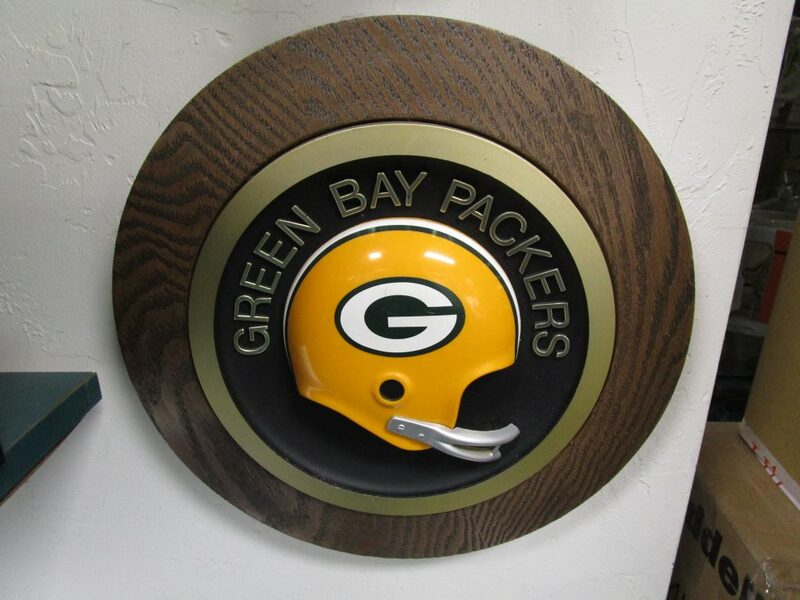 We are offering this Circa 1970 Green Bay Packers Round Helmet Plaque. Faux Wood Plastic Frame measures 13 1/2" across. Green Bay Packers Half Helmet as the Centerpiece. Excellent Clean Condition.